This is a super way for kids to experience the sensation of weightlessness, having fun underwater using mini sets of SCUBA gear. 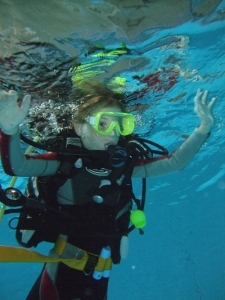 Conducted in controlled conditions with restricted depth to 2m, with very close supervision (max 2:1 students to instructor). 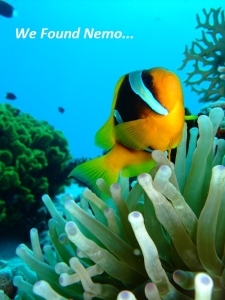 Kids will enjoy the thrill of being under the surface and breathing bubbles, whilst we play games and discover more about the aquatic environment and marine wildlife. 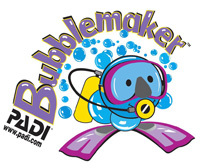 The Bubblemaker program invloves a safety briefing for students & parents and a 45min dive in the pool. This is quite simply awesome ! After enjoying a BubbleMaker dive – kids can progress to the deeper pool when they’re ready to learn key skills from the PADI Open Water course – which over 5 sessions ( we recommend once a month ) earns them their first PADI Diver certification card. 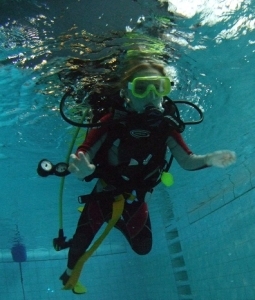 The SEAL TEAM program involves a series of 5 “AquaMissions” – Scuba Dives in a pool that help build aquatic confidence, teach responsibility and generate an understanding of marine conservation – and it is brilliant fun too ! Coordinated to fit individual diaries, the program is usually 1:1 with an instructor on a Sunday afternoon – check the calendar for available dates. When kids graduate the SEAL program – they always find the Open Water course much less difficult when they turn 10yrs old. What an amazing idea for a Birthday Bash ! Minimum age for the DSD is 10yrs. Together for one briefing – then split into groups of up to 6 ( max 2 groups ) for the diving experience. Birthday parties are on Sunday afternoons, meeting at Blue Ocean Dive Centre at 2pm for kit sizing and a talky-teachy lesson – then in the pool form 3.30pm : call well in advance – this is popular ! – It’s EASY & it’s FUN! 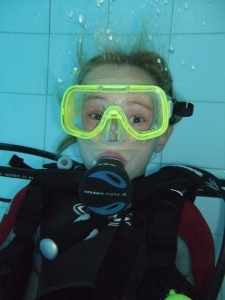 This is the same program that grown-ups do : and if you do well in the pool you could go on to get your PADI International Divers License : COOL !